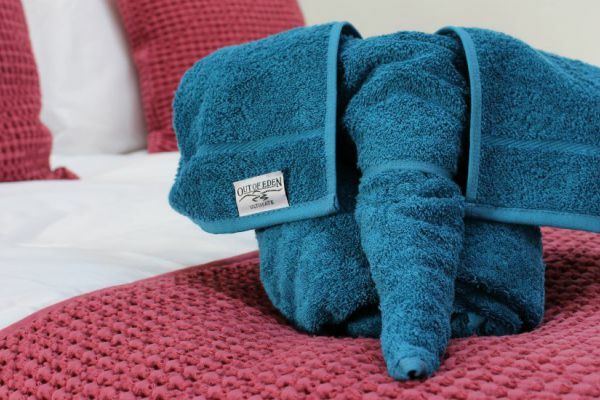 From fluffy towels and complimentary toiletries to crisp white linen, nothing says luxury more than the extra touches you provide in your B&B. That being said, now more than ever there’s also a drive to keep things green, so how do you find the right balance between luxury yet still eco-friendly? The spring season always brings a perfect opportunity for a refresh of rooms, pricing and branding for many businesses, and our own products are no exception. 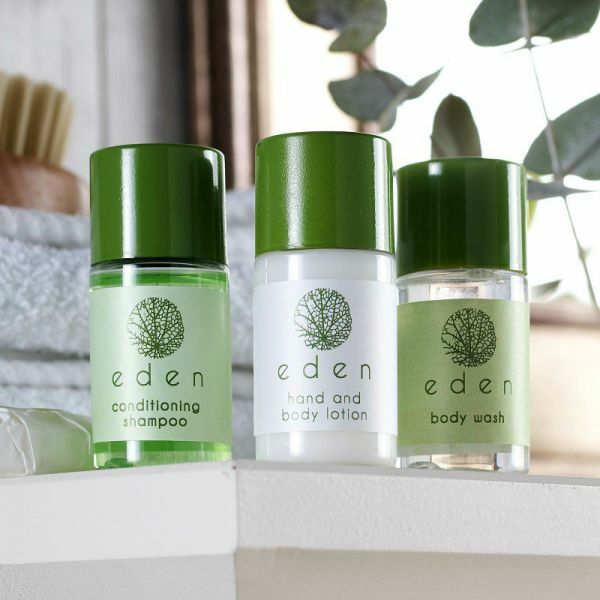 Our new and improved bestselling Eden range has a complete new look with a new formula, more options, but the same great credentials. The collection isn’t just greener in appearance, but greener in values too. 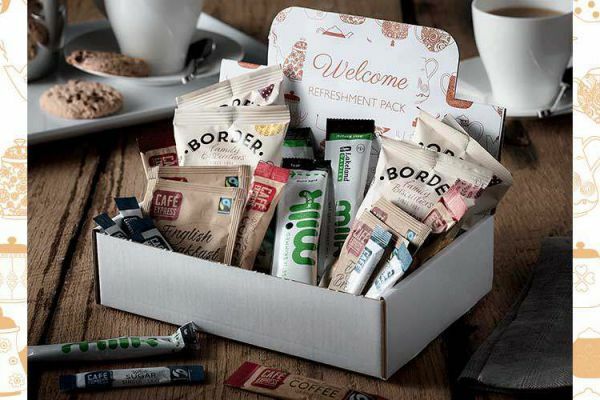 As well as the 20ml plastic bottles, the collection also consists of recyclable 15ml stand-up pouches and 10ml sachets, further saving on packaging and therefore single-use plastic waste. 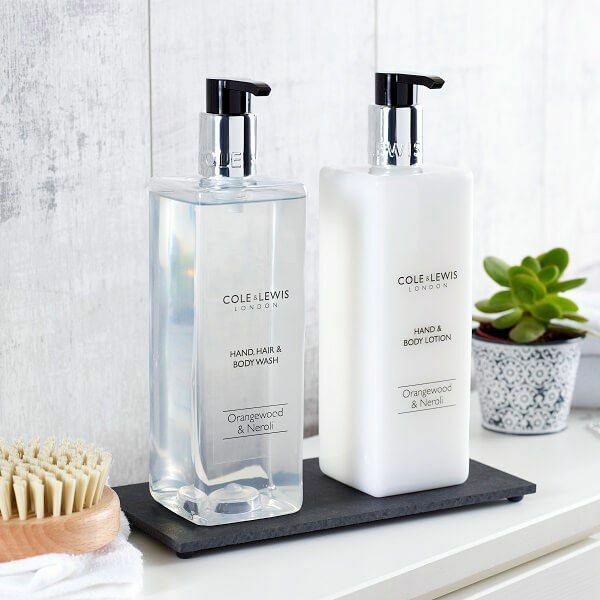 Enriched with natural ingredients, natural botanical extracts with subtle fruit and floral notes, the collection consists of conditioning shampoo, a nourishing hand and body lotion, and a refreshing body wash, completing a stylish yet affordable range for you and your guests. Following the popularity of our travel-size Cole & Lewis Orangewood & Neroli toiletry collection and a demand for decreasing plastic waste, our Orangewood & Neroli collection now comes in bigger and better bottle sizes. With a 480ml capacity, the smart, slimline bottle requires far less frequent refilling than our 300ml bottles, while using up to 60% less plastic per ml than conventional travel-size toiletries. To save on plastic even further, this growing collection also has accompanying 3 litre bulk refills, allowing you to refill your 480ml bottle up to 6 times with ease. 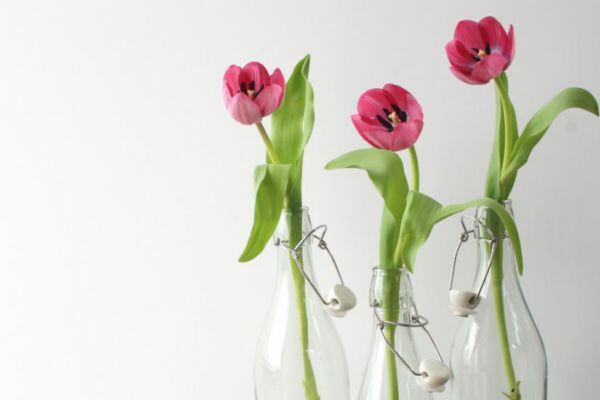 You can use the bottle time and time again, and when it’s time to replace, the bottle is 100% recyclable PET plastic. We know that what’s on the inside is just important as the outside, though, which is why our fully biodegradable, beautifully scented formula has been clinically and dermatologically tested to ensure suitability for all skin types, while being free from parabens, mineral oils and phenoxyethanol. 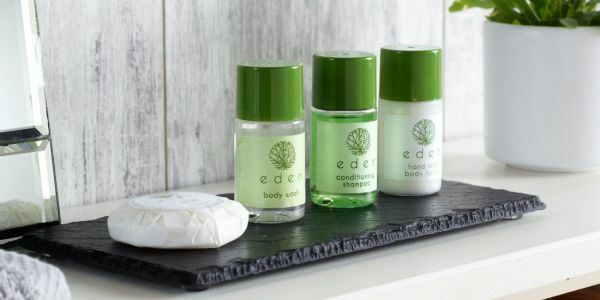 One of the biggest contributors to plastic waste, in the hospitality industry especially, is none other than mini travel-size toiletries such as the ones we supply, with over 200 million travel-size toiletries and over 70 million hard soaps going to waste each year. Finding a solution to the issue is, unfortunately, not as straight-forward as recycling the empty bottles given that a large quantity are often sent straight to landfill half used or completely unused, and around 14 tonnes of the same polymer are required for effective recycling. As many bottles, tubes, lids and caps are constructed from different polymers, this becomes a somewhat unpractical challenge and one that, frankly, isn’t financially sustainable long-term. So, for those of you asking ‘what is the best solution?’ our answer is CleanConscience. In striving to do all we can to keep plastic out of landfill and the oceans, we’ve been working in partnership with CleanConscience, a Maidenhead-based charity launched by Gwen Powell in 2015. Through reprocessing, redistribution and reuse, Gwen and her team are able to find a new purpose entirely for toiletries, hard soap and the plastic packaging. Any unused liquid is repurposed for CareKit toiletry packs for women’s shelters and refugee camps, while the hard soap provides an opportunity for people abroad to generate an income. The leftover plastic is then incinerated, rather than ending up in landfill, and the energy is then put back into the grid. Our scheme, therefore, offers you the opportunity to get involved in this great, green cause and dispose of all mini single-use plastic toiletries in a way that is safe and sustainable, while benefitting the wider community tenfold. For all information on how you can take part, visit our Clean Conscience page for more details.